Battery/line powered electro-hydraulic table with removable leg and back sections and 210° table top rotationCombining impressive 1,200 pound lift capacity with exclusive table top rotation, the 6702 Hercules exceeds all standards in general purpose surgical tables. 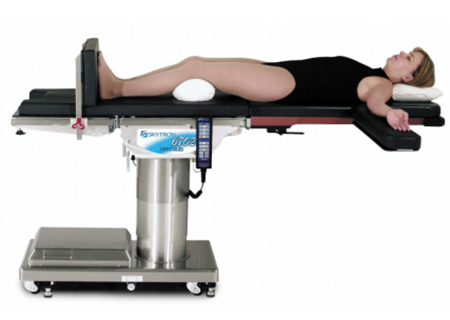 Skytron offers 210° table top rotation – making imaging and patient positioning easy and safe. From pediatric to bariatric, the 6702 Hercules gives any operating room the versatility to handle more procedures and specialties.